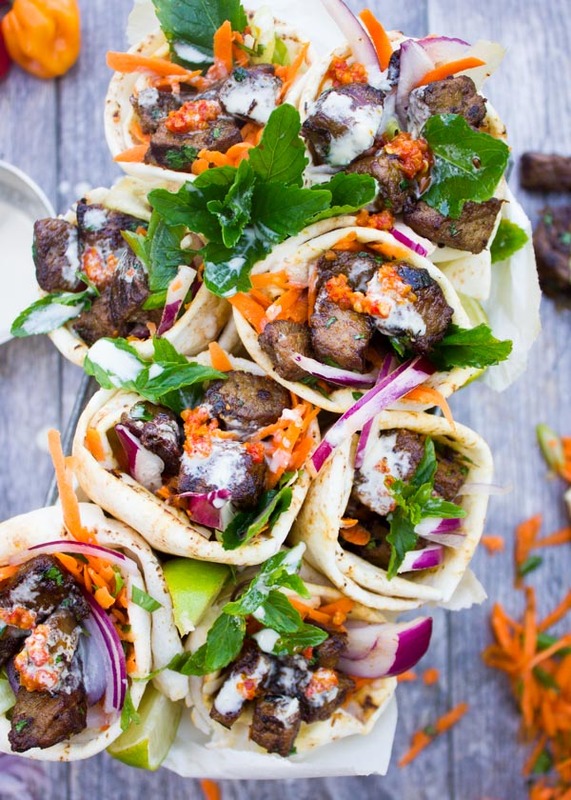 These Spicy Harissa Lamb Shoulder Chunks in Pita Cones with Tahini Sauce will blow you away! 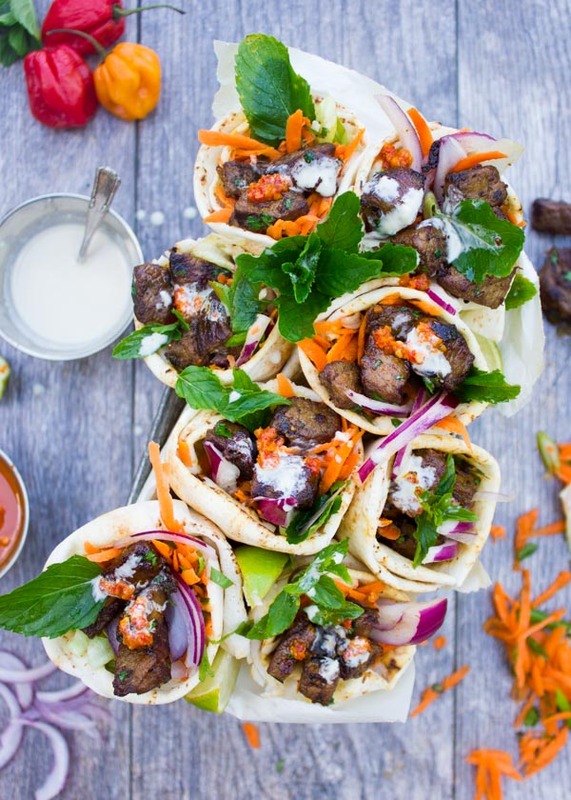 Diced lamb shoulder seared with plenty of garlic and olive oil until charred and tender then seasoned with a fresh pepper Harissa sauce and piled into homemade pita cones. 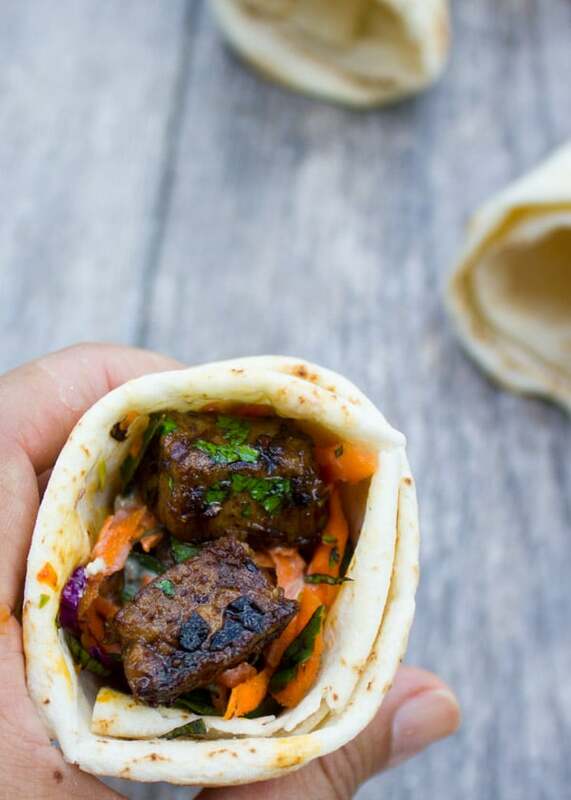 Today’s recipe for Spicy Harissa Lamb Shoulder Chunks in Pita Cones is not just crazy delicious and packed with flavor, it’s super easy and quick too! Along with this awesome lamb shoulder pita cones recipe, I am going to show you a trick for cooking lamb cubes until they reach charred perfection while infusing plenty of garlic flavor. A trick I picked up from my Turkish grandma. This simple yet flavor loaded recipe for Spicy Harissa Lamb Shoulder Chunks in Pita Cones with Tahini Sauce will blow you away! For this great Morrocan-inspired lamb recipe, flavorful lamb shoulder (or lamb stew meat) is seared with plenty of garlic and olive oil until charred and tender. 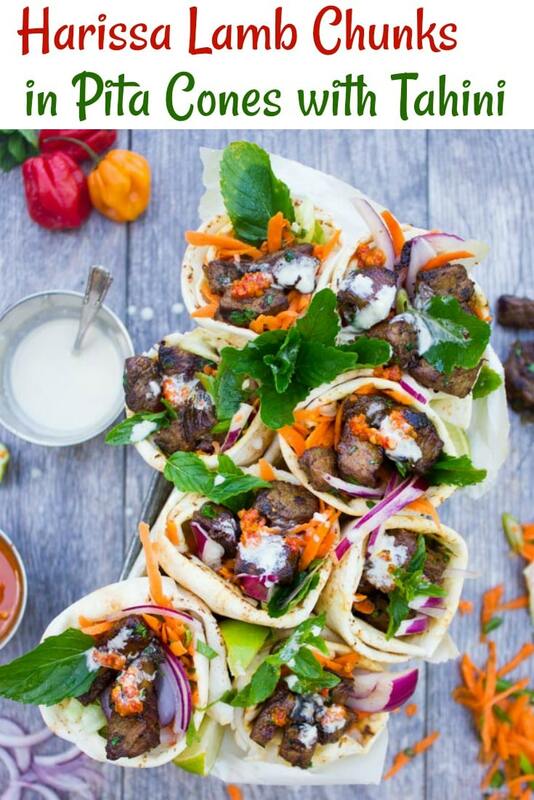 Then, the lamb cubes are seasoned with a fresh pepper Harissa sauce and served in oven-warm homemade pita cones. 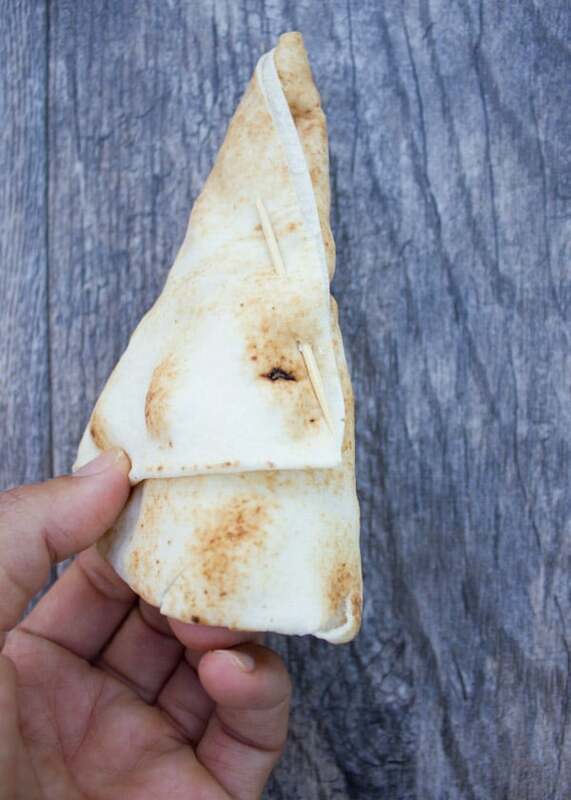 The pita cones are easy to make (check out the step by step photos) and secured with a toothpick which is removed right before eating. 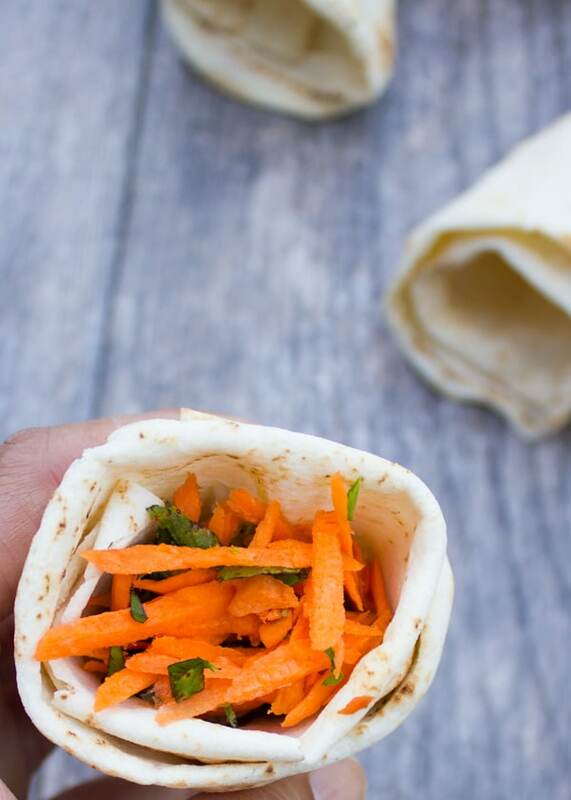 To add some crunch and freshness, we add a classic Moroccan carrot and mint salad to the pita fillings, along with some crunchy lettuce and a luscious Creamy Cumin-Lime Tahini Sauce. Probably the first thing to mention here is the cut of lamb. I’ve opted for lamb shoulder or lamb stew. Basically, you’ll want lamb chunks about an inch cube each (any cut works well, depending in your taste). These chunks get seasoned with just salt, pepper and nutmeg, and get seared with plenty of olive oil and garlic over high heat until charred. While they’re perfect at that point, I love covering the pan and letting them cook for an extra 20-30 minutes so they’re more tender. Turn off the heat and add in the herbs, the Harissa sauce and keep the lamb pot covered for at least 5 minutes to absorb all the flavors. This technique creates a chewy (not hard), flavor-packed, charred tasting lamb with little bursts of garlic and spice. While the lamb and Harissa sauce are super flavorful, I love adding an extra layer of goodness. My Perfect Tahini Sauce recipe. I mention this so many times before, and here I go again. I shared that luscious tahini sauce when I started my blog, my photography was quite hideous and yet that recipe got pinned over 20K times. And it’s simply because that tahini sauce is like MAGIC! You drizzle it on anything and you’ve got yourself a treat. So I had to include it here too! 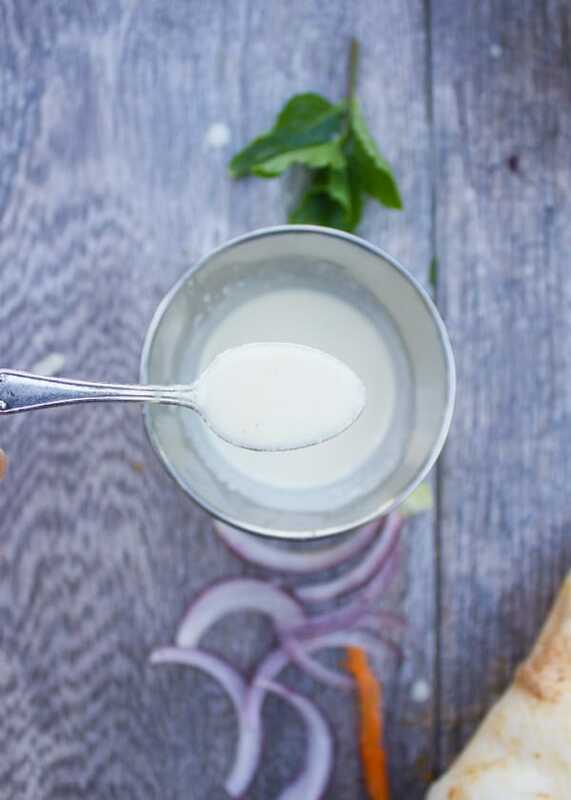 Prepare the Tahini Sauce by adding the tahini paste in a bowl and whisk it with the water until it turns lighter in color and almost like a hard paste. Add in the remaining ingredients and whisk to blend. If the tahini sauce looks too thick for your taste, add a tablespoon of extra water. If it’s too runny for your taste, add a tablespoon of extra tahini paste. Another thing I have to mention that’s amazing here is the homemade Harissa. It’s probably one of the easiest condiments to make at home – no cooking or fuss needed. Simply puree your favorite type of chilli peppers with garlic, lime juice and olive oil. So straightforward yet absolutely delicious. 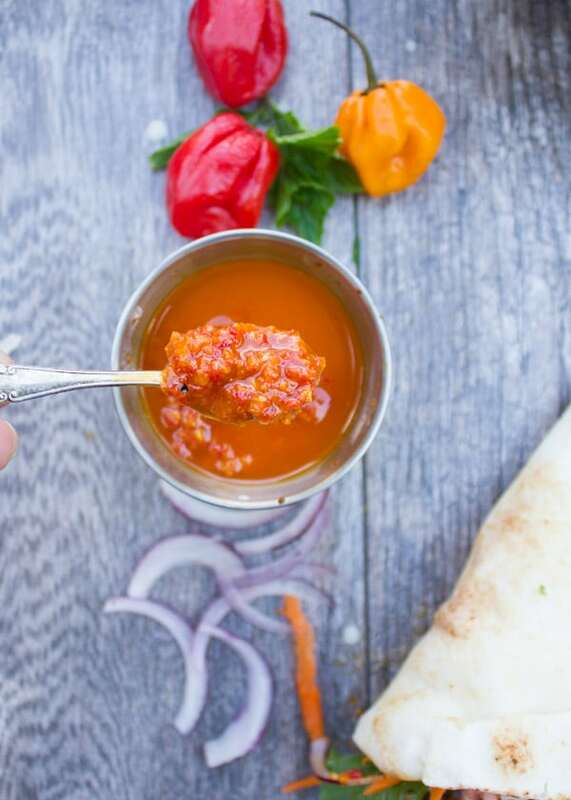 Prepare the Harissa sauce by blending all ingredients together and set aside until assembly. Along with the other ingredients, I add one of my favorite Moroccan salads to these Harissa Lamb Shoulder Pita Cones. A Carrot and Mint Salad which I’ve also shared in this Spicy Vegan Chickpea Moroccan Couscous recipe. Another winner recipe to try for meatless Mondays! Make the Carrot Mint salad by mixing all ingredients together. Set aside. Split each pita bread into 2 half circles. Each half circle Pita will have one round side, one straight side and 2 end corners. Place the half circle with one end corner pointed towards you. Take that pointed corner of that pita half and fold it over two inches wide on to the round side of the pita half creating the first fold of the cone. 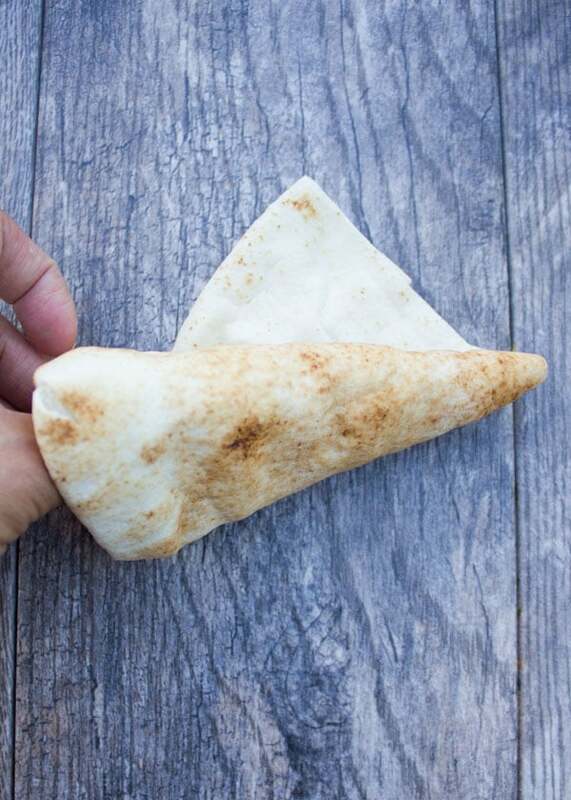 Place your fingers inside the opening of the cone and your other hand at the bottom part of the cone, and start folding the bread over in the same way you created that first cone fold to completely wrap the pita half into a full cone. Secure the loose edge of the pita cone with a toothpick and repeat the same process with the remaining pita bread. How to assemble your Spicy Harissa Lamb Pita Cones! When it comes to piling and assembling the lamb shoulder pita cones, the sky’s your limit! Here are the photos showing how I assembled them, but as always feel free to personalize these Harissa Lamb Shoulder Pita Cones cones to your taste. 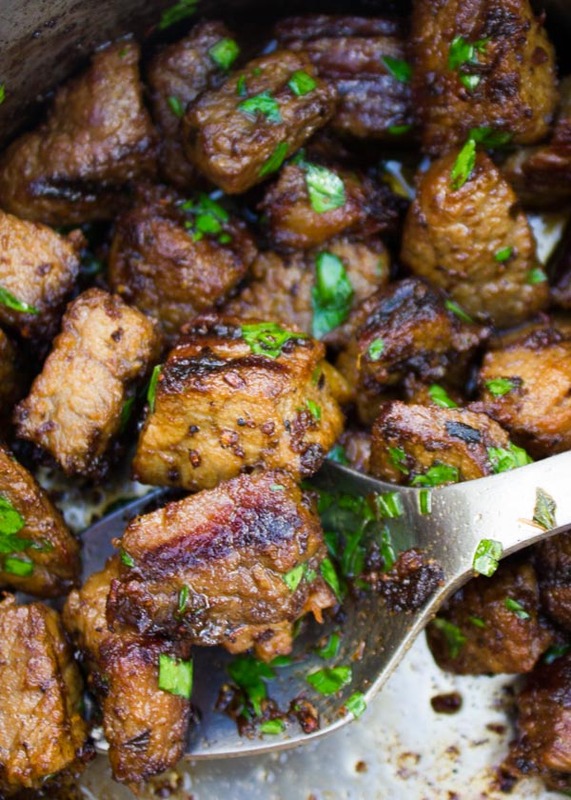 some flavorful lamb chunks, extra Harissa sauce (if desired)…..
some Moroccan Carrot Mint Salad……. more lamb chunks, more Harissa sauce, a generous drizzle of tahini sauce and some extra chopped mint. Enjoy! 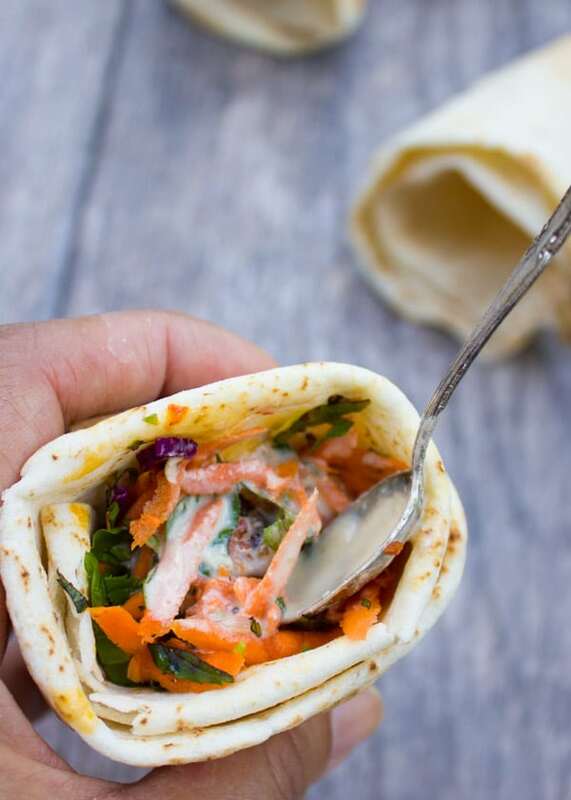 I love making these Harissa Lamb Shoulder Pita Cones for tailgating, picnics, on the go dinners and lunches, and even for potlucks. They transport beautifully, they’re easily prepared in advance, they’re perfect to eat hot or cold, and they’re a real crowd pleaser! 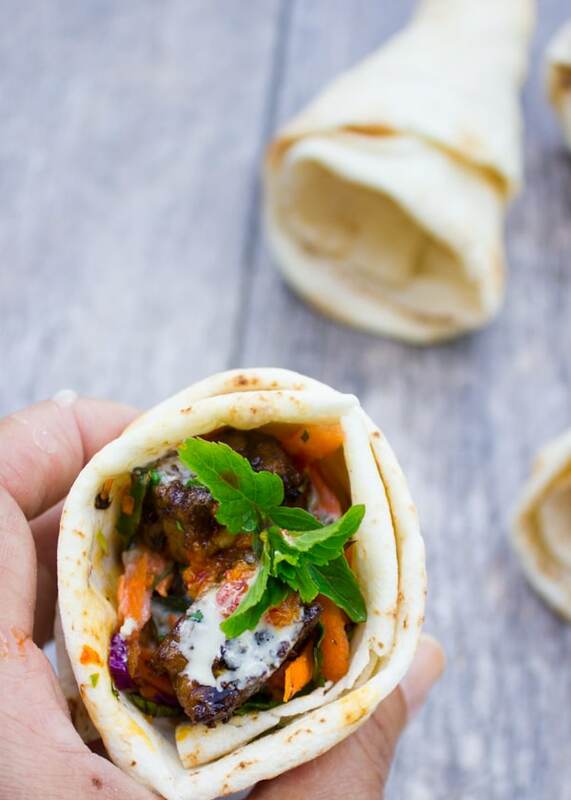 Next time you’re thinking of making something to share or enjoy on your own, make these Harissa Lamb Shoulder Pita Cones! You’ll LOVE them I promise! For more Lamb recipes check our The best Lamb Burgers Loaded with Nachos recipe, Turkish Pizza Lahmacun recipe and Grilled Lamb Chops with Black Olive Herb Butter! 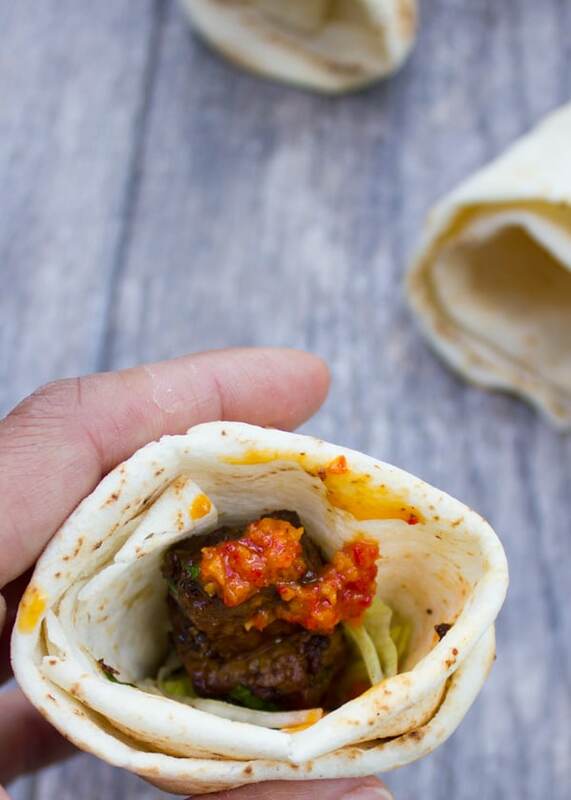 For these Harissa Lamb Shoulder Pita Cones, I always reach for American Lamb. It’s actually incomparable to any other when it comes to taste, quality, and freshness, plus it feels great supporting local farmers! You’ll find a locator on that website which is the best way to know and locate your lamb! 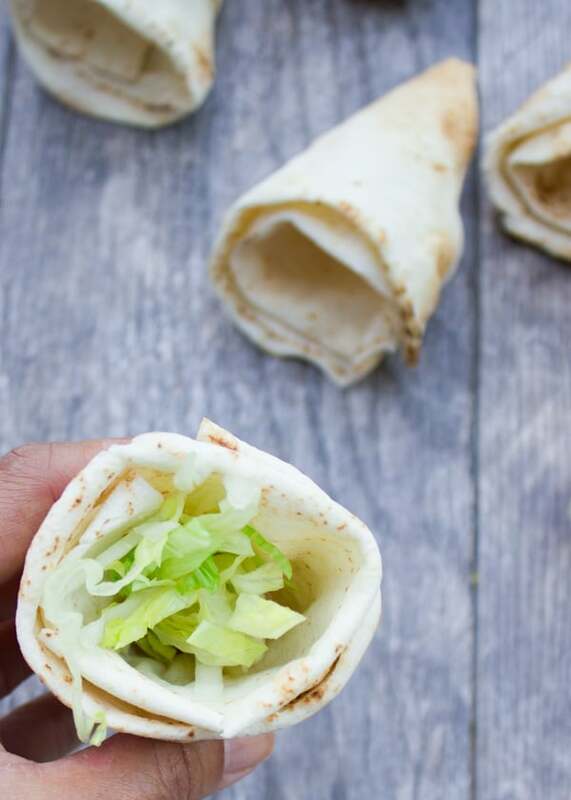 Place some shredded iceberg lettuce at the bottom of the cones to prevent your pita cones from getting soggy with all the saucy goodness. For a party, prepare all the fillings in separate bowls and let guests assemble their own pita cones! 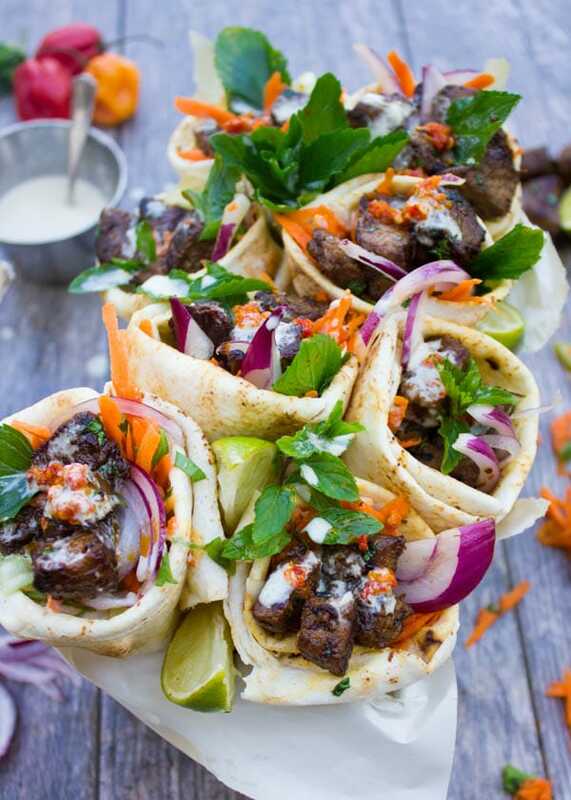 This simple yet flavor loaded recipe for Spicy Harissa Lamb Shoulder Chunks in Pita Cones with Tahini Sauce will blow you away! 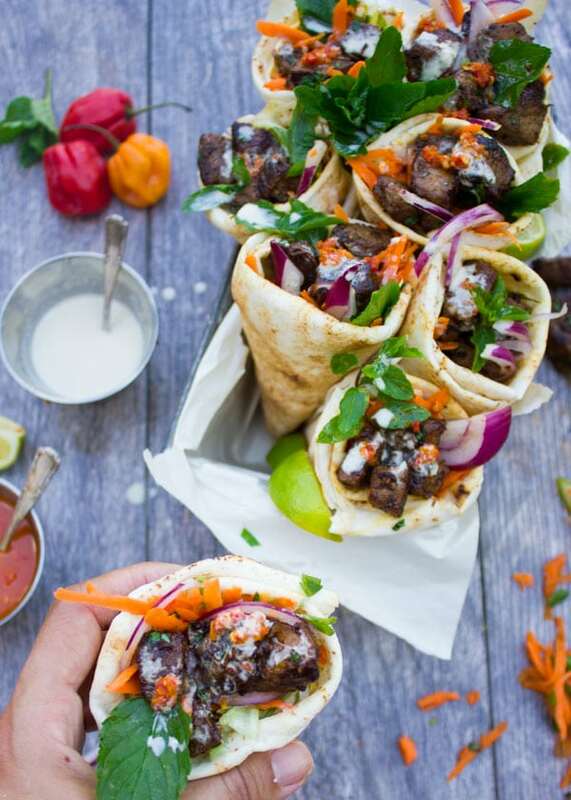 A blend of cubed lamb shoulder seared with plenty of garlic and olive oil until charred and tender then spiked with a fresh pepper Harissa sauce and piled into homemade pita cones. Make the lamb: Preheat a pot with the lid on over high heat with half the olive oil. Season the cubed lamb chunks with salt, pepper and nutmeg. Add the garlic and lamb chunks and start sautéing them on high heat with the olive oil. Continue sautéing them for 3-5 minutes until the lamb starts to dry and begin to char. Add a tablespoon of olive oil gradually to the meat while sautéing until a nice char is achieved. Cover the pot and lower the heat to medium, adding extra olive oil if needed and let the lamb cook for another 20-30 minutes. Turn off the heat and add in the herbs, the Harissa sauce and keep the lamb pot covered for at least 5 minutes to absorb all the flavors. This technique creates a chewy (not hard), flavor-packed, charred tasting lamb with a burst of garlic, spice and freshness of the herbs. Prepare the Harissa sauce by blending all ingredients together. Set aside. Prepare the Tahini Sauce by adding the tahini pasta in a bowl and whisk it with the water until it tuns lighter in color and almost like a hard paste. Add in the remaining ingredients and whisk to blend. If the sauce looks too thick for your taste, add a tablespoon of extra water. If it’s too runny for your taste, add a tablespoon of extra tahini paste. Taste salt and adjust seasoning. Make the carrot salad by mixing all ingredients together. Set aside. Make the Pita cones. Split each pita bread into 2 half circles. each half circle Pita will have a round side, a straight side and 2 end corners. Place the half circle with one end corner pointed towards you. 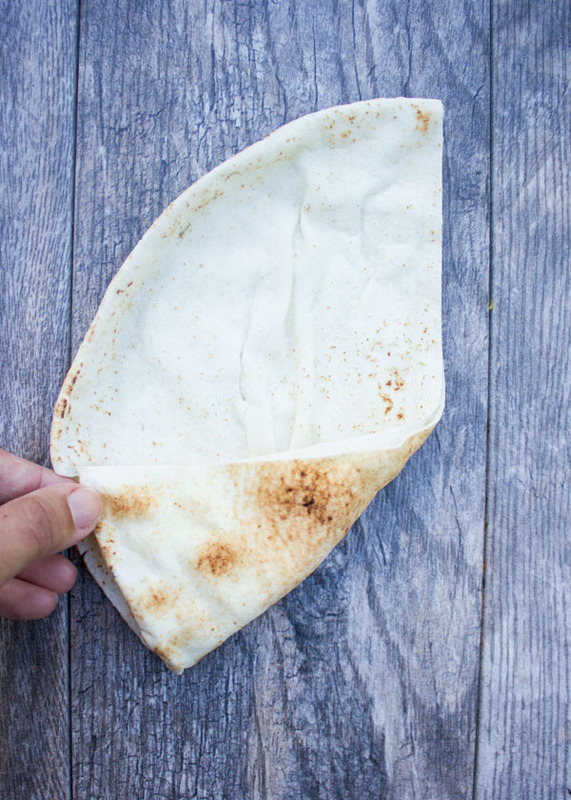 Take that pointed corner of that pita half and fold it over two inches wide on to the round side of the pita half creating the first fold of the cone. 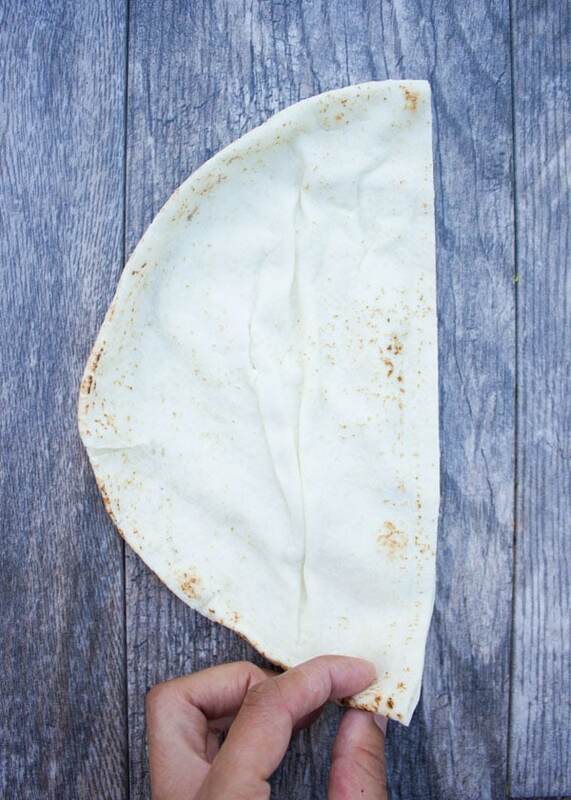 Place your fingers inside the opening of the cone and your other hand at the bottom part of the cone, and start folding the bread over in the same way you created that first cone fold to completely wrap the pita half into a full cone. Secure the lose edge of the cone with a toothpick and repeat the same process with the remaining pita bread. 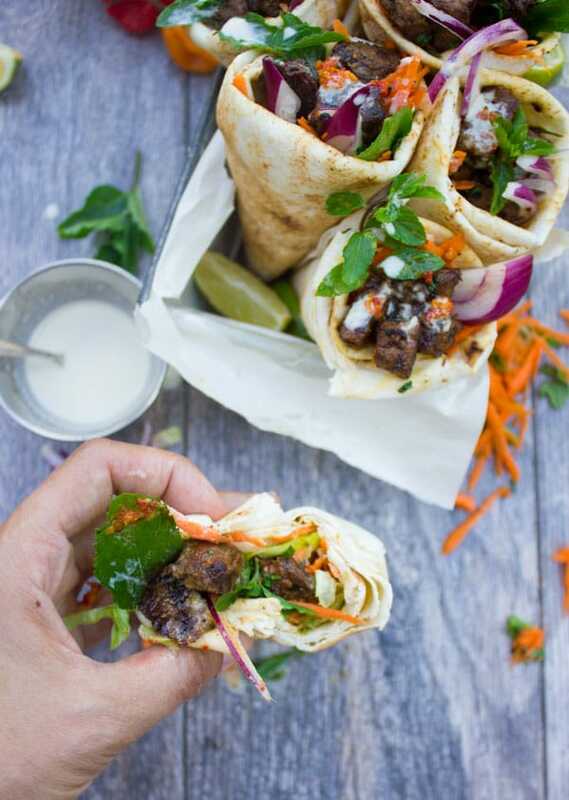 Start piling your pita cones, Add shredded lettuce at the bottom, some flavorful lamb chunks, extra Harissa sauce (if desired), some Moroccan carrot salad, more lamb chunks, more Harissa sauce, a generous drizzle of tahini sauce and some extra chopped mint. Enjoy! For these Harissa Lamb Shoulder Pita Cones, I always reach for American Lamb. It's actually incomparable to any other when it comes to taste, quality, and freshness, plus it feels great supporting local farmers! You'll find a locator on that website which is the best way to know and locate your lamb! This recipe is a game changer! I am just in love!!! Thank you Tania!!! Hope you make it soon!! This looks like it’s loaded with flavor! Can’t wait to try it! 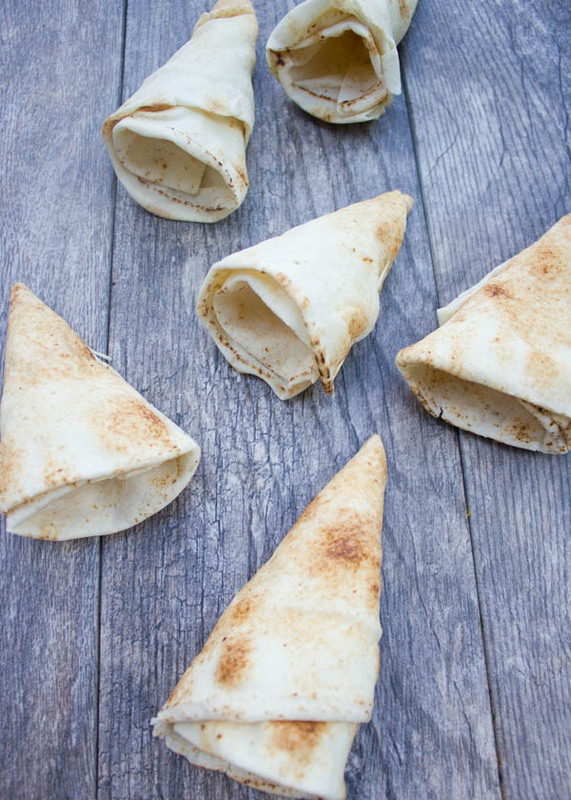 Such a neat idea to make pita cones! I’m loving the sound of that carrot mint salad you used in these with tahini. 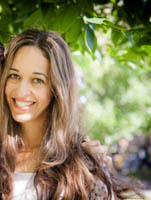 Thanks Stephanie! I love those pita cones for everything!! And that tahini sauce is absolutely a must try! It’s lunch time here and your lamb and pita cones are making me so hungry! 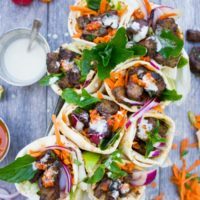 I love lamb wrapped in pita and turning the pita into cones makes it such a great, portable meal. Thanks Annemarie!! You’ll enjoy this totally! !